Current Television, Feature Film and Special Reports! 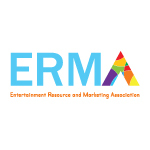 We have been asked to remove the feature film reports from the ERMA Website – We are in talks with the provider to be able to continue! Television Reports have been discontinued – we are working on multiple access to the TV Database.